And boy, are they tiny! 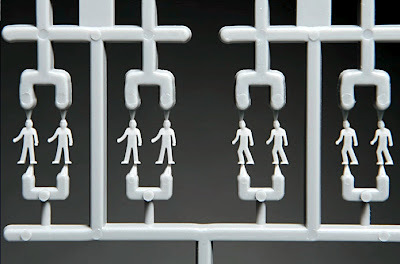 Each one is barely 5 mm (0.2 in) high, which - if we’re being honest - does rather preclude any chance of facial features showing up in the sculpting process. 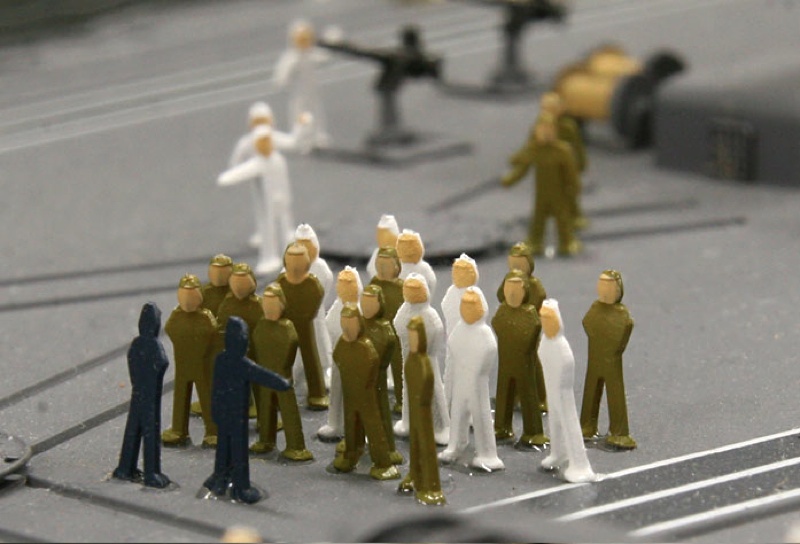 Even with digital technology, you won’t be able to recognize the ship’s captain. 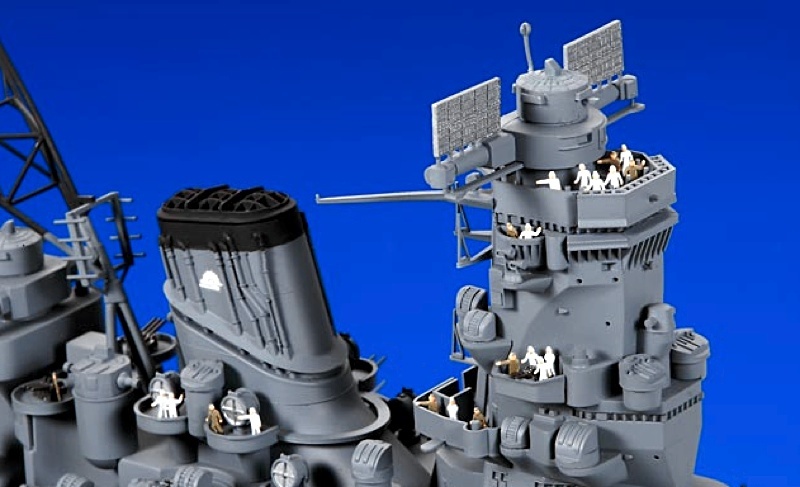 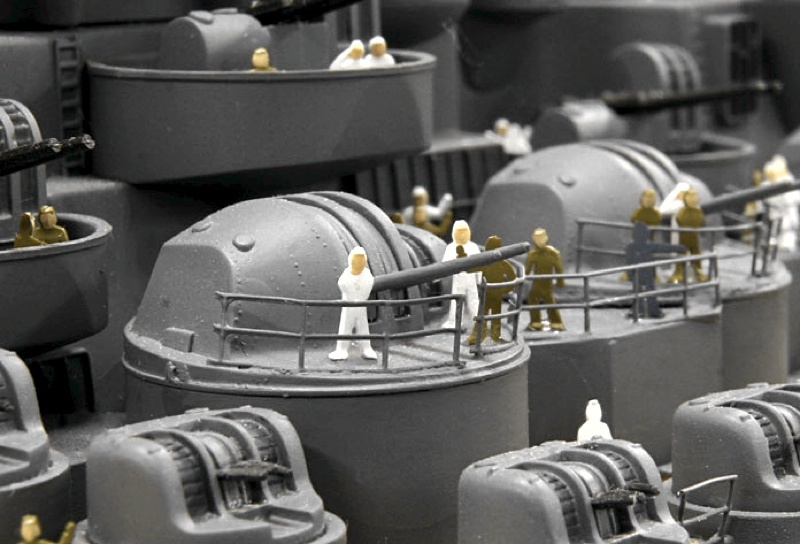 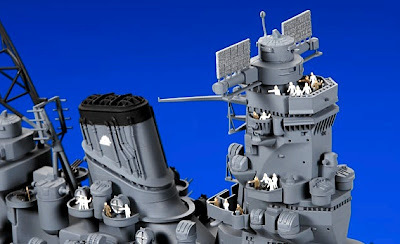 Still, it’s the art of the possible that counts, and with these crew figures, Tamiya has struck gold for anyone who wishes to show the Yamato - or any 1:350 scale warship for that matter - with visible crew on decks. 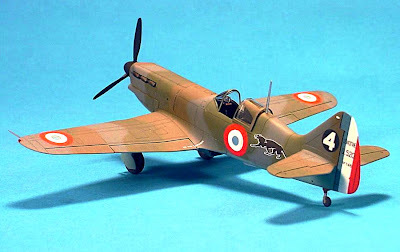 So far as World War II fighter planes are concerned, we’ve had Mustangs by the score, Spitfires by the dozen, but what about the French aircraft industry? Well, sad to say, the snail-eaters have had a bad time so far as the international model companies are concerned. Apart from models from the home player Heller, French machines have been all but ignored down the years. 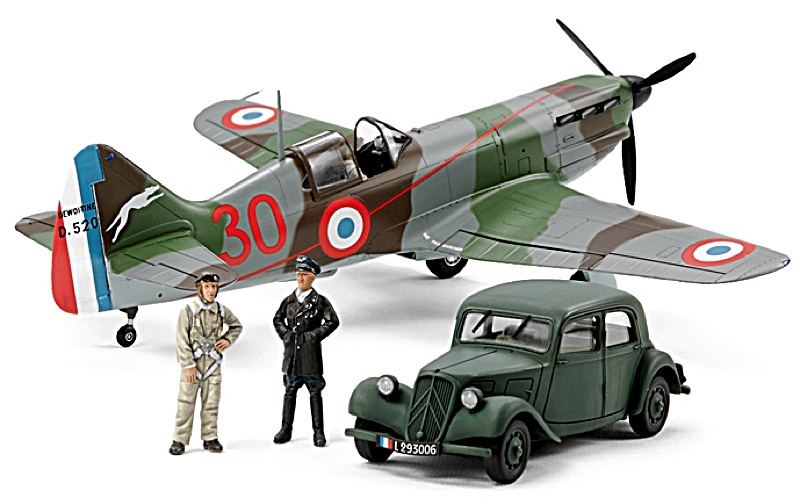 So it’s a huge pleasure to see Tamiya bringing us an extremely handsome kit of the dainty Dewoitine D.520 single-seater, to 1:48 scale, giving it a wingspan of 213 mm (8.4 in). 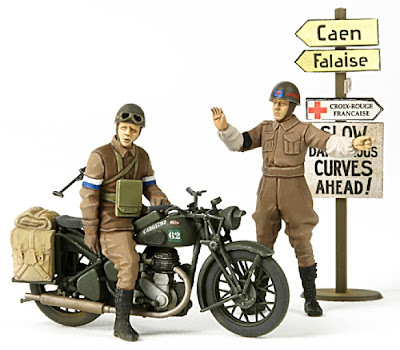 The kit itself is not new, so what’s the story this time? Well, it’s a good one, as Tamiya has decided to team the D.520 with three figures and a Citroen staff car. 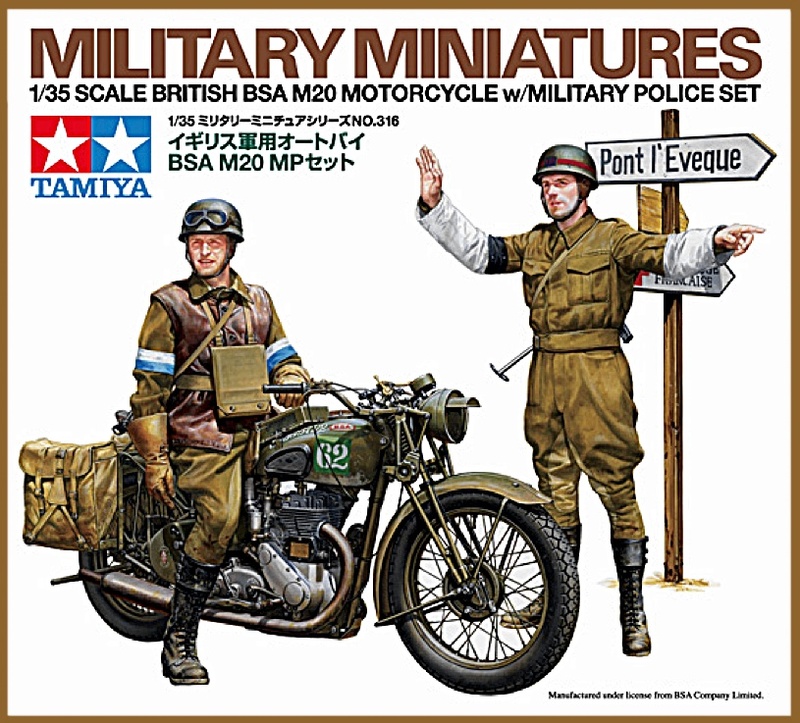 This group makes a neat set, with a seated and standing pilot figure included, plus an officer, and decals for three different aircraft. 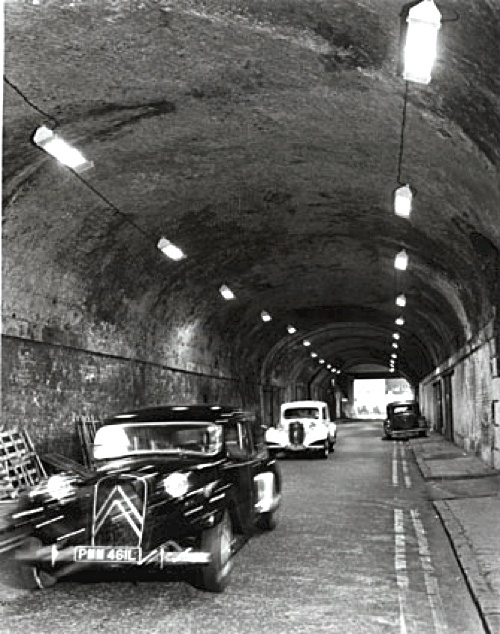 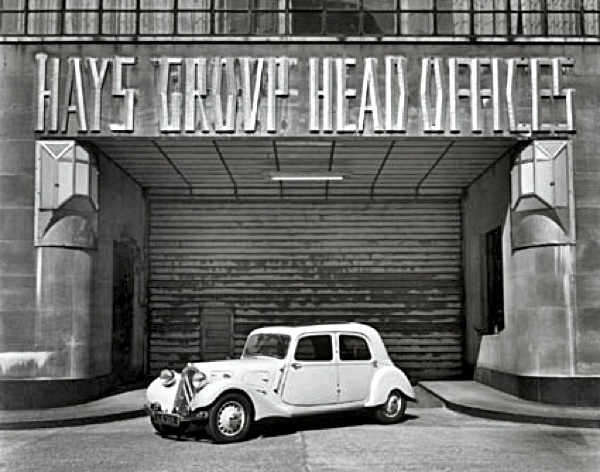 The car is the classic ‘Traction Avant’, used throughout the war years, and afterwards being the steed of the fictional 1960s-era French detective Jules Maigret, and also of the not-so-fictional Peter Mackertich, an ace UK photographer who has driven around in various Citroens for many years. Deeply retro, deeply cool Pete! 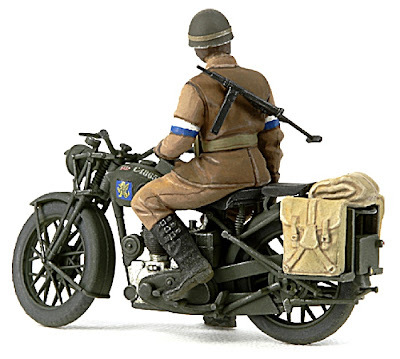 Lastly, we come to military 1:35 scale and the very neat World War II BSA bike with despatch rider. Tamiya has included an MP with this kit, plus a signpost showing various French destinations. 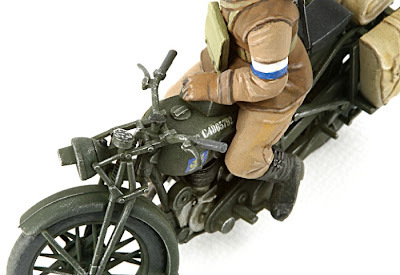 The sculpting of the figures is nicely done - better than in fact than the photo of the finished model might reveal. 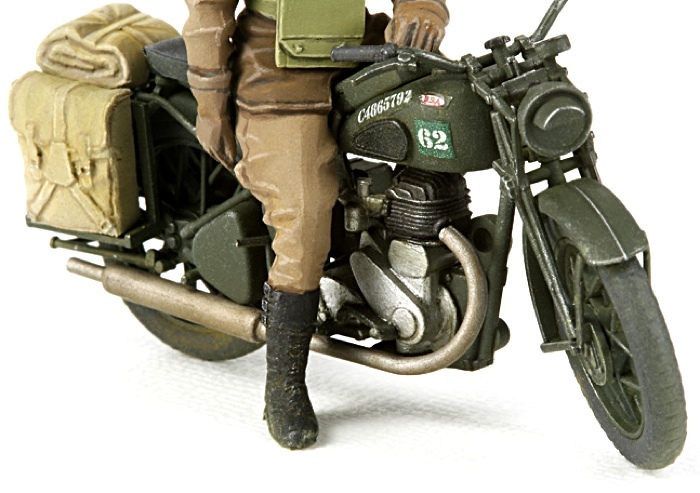 As painted, the neatly-made British biker looks as if he’s suffering from the world’s worst hangover, or maybe a bad case of shell-shock - which may be the case, of course. No issues on the model front apart from that though - the bike has decent engine and suspension detail, decals are included of insignia and unit markings, and the road signs are in the box, too. The bike is 61 mm (2.4 in) long when assembled. Tamiya BSA bike diorama set here.